^ 1.0 1.1 Department of Energy FY 2018 Congressional Budget Request Laboratory Tables Preliminary (PDF). 美国能源部. [2017-05-31] （英语）. ^ Facts, Figures. 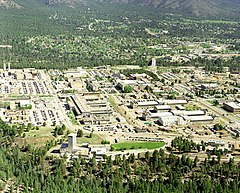 Los Alamos National Laboratory. [2013-10-18] （英语）. ^ Richard Rhodes. The making of the Atomic Bomb. London: Simon & Schuster. 1995: 449–451. ISBN 0-671-44133-7 （英语）. 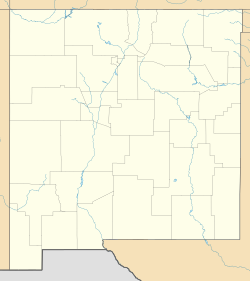 ^ Oppenheimer: A Life: Los Alamos. University of California, Berkeley. [2013-10-18]. （原始内容存档于2013-10-19） （英语）. "Protecting the Nation's Nuclear Materials". Government Calls Arms Complexes Secure; Critics Disagree NPR.